Personal loan template is a document where the borrower promises in a written form to pay off the debt. 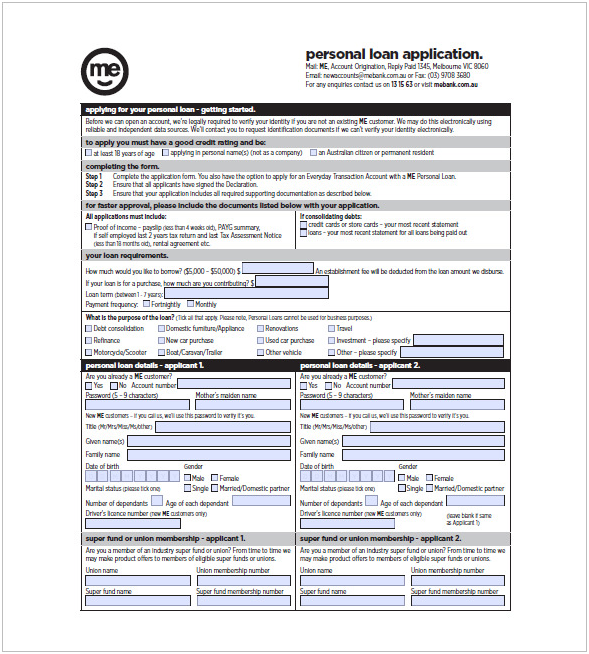 You can download the short term unsecured personal loans template in Word, PDF or Excel formats from multiple resources, for instance from here: https://www.template.net/business/note-templates/note-template-for-personal-loan/. Unlike templates for the loan agreement, this template looks more formal and contains a lot of personal information. Furthermore, there is a clear guideline written in the form. Therefore, you don’t even need a help from outside to figure out in all the fields. Along with the personal loan template, a borrower should include the proof of income. Some of the online companies promise documents-free application process but reputable lending institutions mostly require filling in the document. Lenders can also require a personal value statement. It’s very similar to the personal loan agreement but requires to mention additional bank and loan information. You can download personal value statement for loans template in PDF format here: http://www.hrdc.org/Websites/hrdc/images/Personal_Financial_Statement.pdf. In this document, a borrower has to give information about previous loans. In fact, filling in the templates isn’t complicated but if you need help, you can turn to the online client’s support center of the lending institution or the local bank.